Black Beauty Eggplant is one of the most popular heirloom eggplant varieties, this variety is known for its large, plump, deep purplish-black fruits. 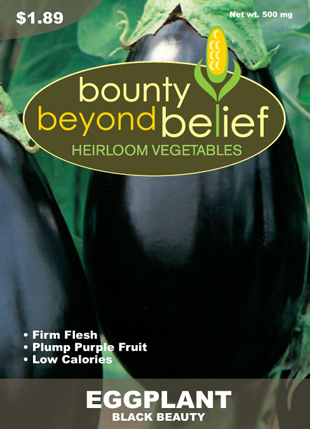 Black Beauty Eggplant is one of the most popular heirloom eggplant varieties, this variety is known for its large, plump, deep purplish-black fruits. The plants grow 2’-3’ tall and produce several fruits. The plants are ornamental and can be used in the flower garden or in containers. Eggplant is a member of the Nightshade family and does well when planted with peppers, beans, peas, spinach, tarragon, thyme and marigolds. Fennel should not be planted near eggplant. 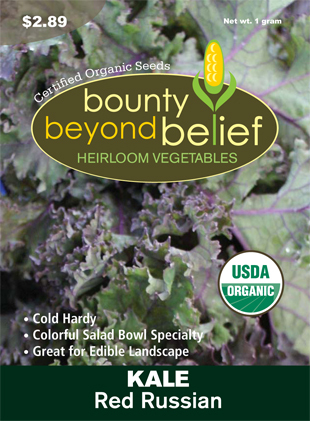 Planting: For best results, plant the seed indoors 8-10 weeks before the last spring frost. Shift the seedlings to individual pots and grow in full sun. Harden plants before transplanting to the garden 2-3 weeks after the last frost. Water regularly and fertilize when the plants are 6″ tall and again in mid-summer. Remove fruits from the plant when they are a glossy dark purple and about 6-8″ long. Skin should not spring back when pressed. Eggplants are a good source of folic acid and potassium as well as other vitamins and minerals.